Businesses are demanding a more personal touch from their cloud IaaS providers. Analyst firm Gartner’s latest 2018 Magic Quadrant for infrastructure as a Service (IaaS) shows some rapid consolidation in the cloud space. Whilst there is no shift at the top of the market with Amazon Web Services and Microsoft Azure still leading, Gartner has omitted more than half of the vendors it covered last year on grounds that customers now demand more than just rented servers and storage. Whilst this is interesting in itself, more intriguing is what’s behind the decision. Customers apparently now have high expectations from their cloud IaaS providers. They demand market-leading technical capabilities, according to Gartner with “a depth and breadth of features, along with high availability, performance and security.” They also, crucially, expect management rather than simply ‘hardware’ infrastructure features. In other words, they demand service. At Cogeco Peer 1 we recently conducted a study among IT decision makers, the results of which fully support this trend. When it came to the key checklist of things they were looking for in an IT vendor, customer service was high on their list of priorities. Unfortunately in many cases, they aren’t getting the service they would like. The vast majority of respondents (85%) believe that their organisation’s most prominent current IT vendor can improve its service, with only 14% stating that they are satisfied with the current service they receive. At best this points to a lack of communication between organisations and their suppliers when it comes to business priorities. At worst, there is a worrying lack of trust between those tasked with managing IT to help grow and develop the business and those partners engaged to support and guide IT decision makers on that journey. 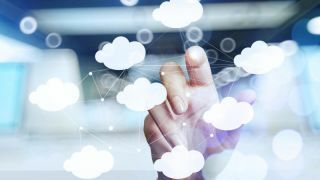 The consolidation we are witnessing, not only in the IaaS space, but also across the industry as cloud matures and certain models, such as hybrid cloud, begin to dominate, may not be driven solely by this trend, but it is clearly a factor. The other key driver is, of course, price. Our survey showed that three quarters of respondents consider cost to be one of their top three priorities when looking for an IT vendor. Importantly though, businesses are not necessarily looking for those providers willing to engage in a race to the bottom. Although price does remain the main concern, and with budgets tightening in light of uncertainty around Brexit, businesses are increasingly recognising the need for strong scalability capability, to cope with the peaks and troughs they experience. Good customer service has often been overlooked in favour of competitive pricing and exciting new products in the IT market, but more and more, it seems, businesses are finding the service they receive isn’t living up to their expectations or needs, as they grow. So does the picture Gartner paints mean customers are reluctant to embrace smaller or mid-size vendors as they move into the next phase of their cloud journey? At critical stages of growth, there is a natural tendency to look for support from a partner who offers stability and scale, but this isn’t the whole story. As vendors and partners we have a responsibility to look ahead and be ready to pivot quickly as the needs of the market evolve. There are many ways that value can be added to a relationship which means that vendors of different sizes can play to their strengths and even collaborate with larger players in order to meet the needs of a maturing technological environment. Over half of those in our survey (54%) stated that their IT vendor’s service is one of the most pressing things they could improve. This may mean something as simple as having dedicated technical account managers, fast-turnaround on enquiries and 24/7 support. In a service outage or data breach situation, for instance, this ability to react quickly and decisively could avert a major crisis, and will make more of a difference to bottom line than the expertise the vendor brings or product flexibility. Once a basic level of trust is established between customer and service provider, they can really begin to have a positive impact on the way that business operates and grows. For example, we worked closely with on-demand physical storage start-up company, Lovespace to help manage its technology infrastructure in the face of rapid growth. In its case we employed SD-WAN to help easily architect and manage secure network connections to branch locations. The IT infrastructure, and in particular the SD-WAN we provided ensured that Lovespace is no longer restricted by on-premise infrastructure and can scale effortlessly as customer numbers are doubling year-on-year. Any disruptive development in technology will either be superseded or eventually be accepted and mature with the market. The cloud is no exception. It is now part of the ‘information fabric’ and will develop and change according to business needs and disruptive emerging technologies elsewhere. An inevitable part of this cycle is consolidation, and just as inevitably there will be some casualties as the market continues to settle. The key to not becoming one of those casualties is to understand that some things – such as the value of good customer service and having the trust of those customers is vital, both in keeping the goodwill and custom of those customers, but also in learning to anticipate and fulfil their requirements in a fast-changing space.